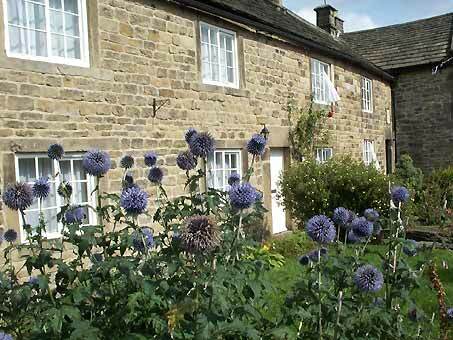 It's hard to imagine that the quiet village of Eyam, off the A623 in Derbyshire, could have such a fascinating, yet tragic story to tell. But .... at the end of August 1665 bubonic plague arrived at the house of the village tailor George Viccars, via a parcel of cloth from London. The cloth was damp and was hung out in front of the fire to dry, thus releasing the plague infested fleas. On 7th September 1665, George Viccars, the first plague victim, died of a raging fever. 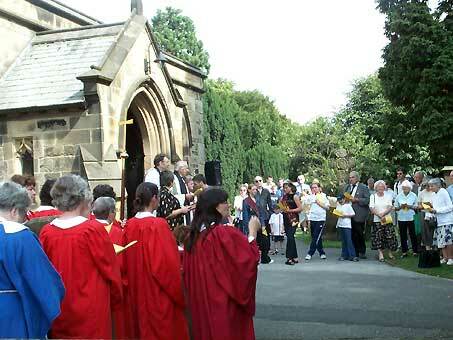 As the plague took hold and decimated the villagers it was decided to hold the church services outdoors at nearby Cucklett Delf and, on the advice of rector William Mompesson and the previous incumbent Thomas Stanley, villagers stayed within the confines of the village to minimize the spread of the disease. 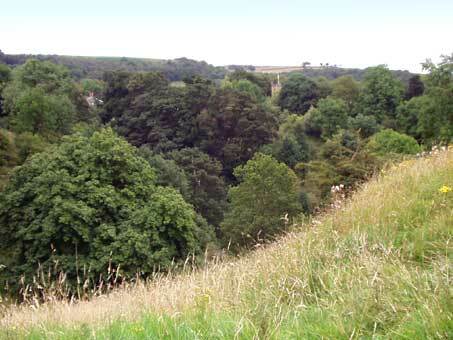 Cucklett Delf was also the secret meeting place of sweethearts Emmott Sydall, from Eyam, and Rowland Torre, who was from a neighbouring village. They would call to each other across the rocks, until Emmott Sydall herself became a victim of the plague. Six of the eight Sydall family died, and their neighbours lost nine family members. 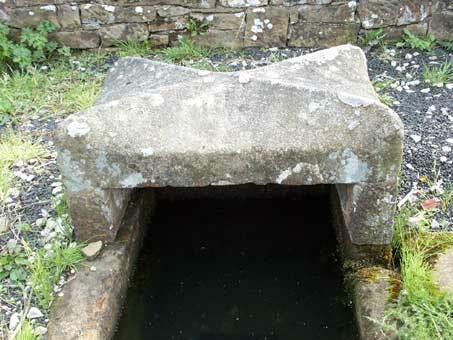 To minimize cross infection, food and other supplies were left outside the village, at either the Boundary Stones, or at Mompesson's Well, high above the village. The Earl of Devonshire, who lived at Chatsworth House, freely donated food and medical supplies. For all other goods, money, as payment, was either purified by the running water in the well or was left in vinegar soaked holes. 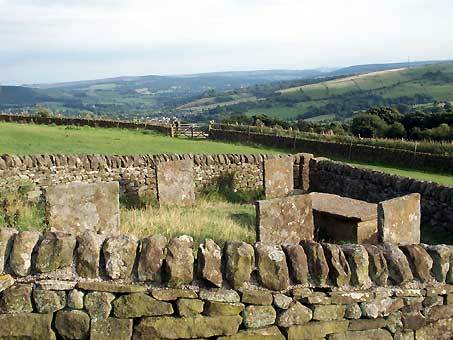 The Riley graves, close to Riley House Farm and approximately 1/2 mile from the village house the bodies of the husband and six children of farmer Elizabeth Hancock. All died within a week of each other. Because of the high risk of infecting her neighbours she had the traumatic task of burying them all herself. Even more tragic is that the infection probably came to her family when she helped bury another villager's body. Twelve months after the death of George Vicars, the plague was still claiming its victims, and on 25th August 1666 Catherine Mompesson, wife of the recently appointed rector William Mompesson (aged 28) , died of the plague. She had loyally stayed with her husband and tended the sick, only to become a victim herself. 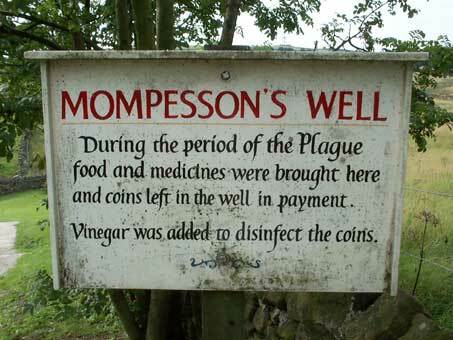 Mompesson's well. Food and medicines were left here. 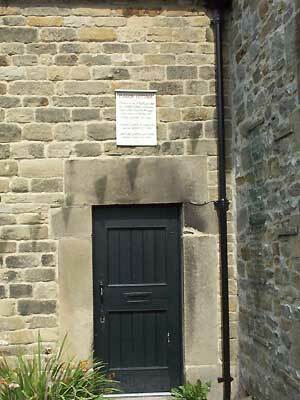 Mompesson's well. The water disinfected the coins left as payment. 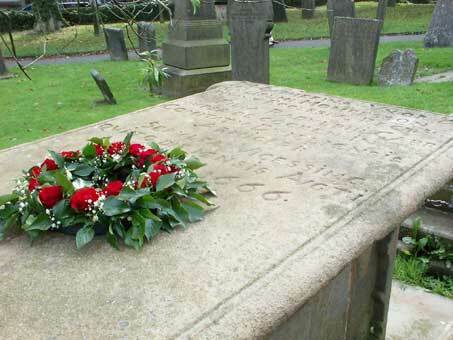 Seven members of the Hancock family are buried here. 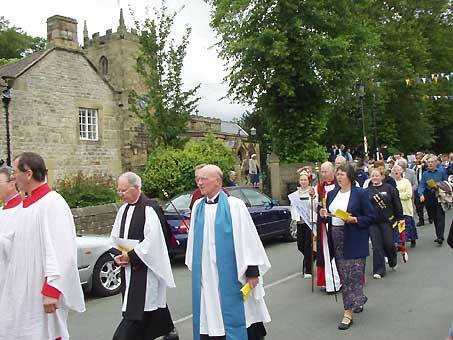 Almost 350 years later a remembrance service is still held every Plague Sunday (generally the last Sunday in August) at Cucklett Delf, Eyam. 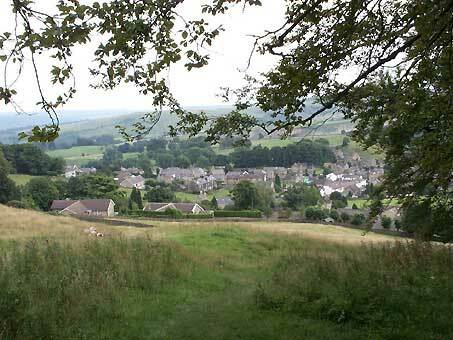 Ironically, in 2001 the service had to be held in the churchyard at Eyam as much of Britain had its own modern plague (Foot and Mouth Disease) and most farmland was declared out of bounds. The other three pictures in the sequence below were taken on Plague Sunday the following year. 2002. 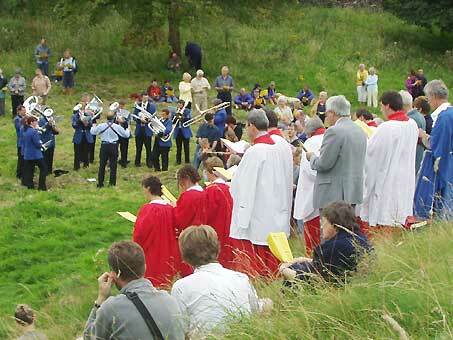 The procession leaves for the service at nearby Cucklett Delf. Cucklett Delf was used as a place of worship during the plague of 1665 - 1666. 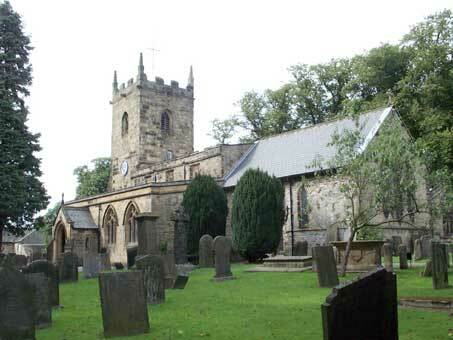 A memorial service is held here annually, on Plague Sunday. 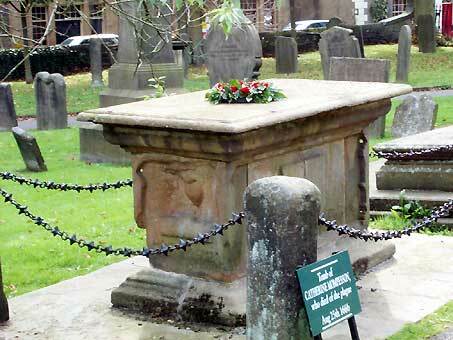 Catherine Mompesson's tomb is in Eyam churchyard. It is decorated with a rose entwined wreath every year on Plague Sunday as this is the Sunday closest to Catherine Mompesson's death and the outbreak of the plague. 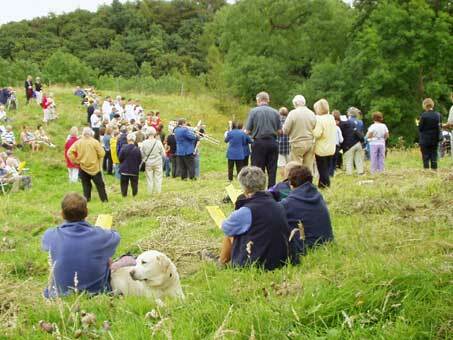 Other families had to bury their own dead, in either fields or their garden. 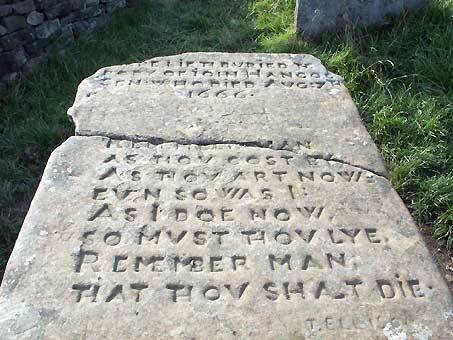 Clicking on picture 3 below reveals the error made by the stone mason whilst carving the name Mompesson. It's impossible to visit this unspoilt Derbyshire village and not be moved by the tragic events that took place there almost 350 years ago.